Decorated apartment in a small detached house in quiet neighborhood corner Ste Catherine. Type 2 stars. very bright lit by several windows and skylights under the roofs (nice volume, since height under roof in the middle of the rooms of 3m50), 1 room of 9 m2 with 2 beds simple bedding, April 2014,1 corner mountain of 15m2 with 2 beds of 80x200cm bedding July 2013, 1 living room dining room of 25 m2 with a bench. Television. Just 150m from the Prorel cable car and the center of Briançon, 400 meters from the station. 20km of Sestriere Olympic site (Italy) 2006. View north side and south side of gondola on mountains. On the ground floor entrance hall 8m2 to store ski boots and dry clothes. A beautiful hiking: You need about 1 hour from the house to the village of Puy St Pierre dominates Briançon, 2 hours more to reach the Chapel of Notre Dame des Neiges (2292m) and again for 1 hour more Summit Prorel (2566m) where the view is magnificent. (See photos). Easier to take the lifts that take you almost to the top. A beautiful hiking: You have about 1 hour from the house to the village of Puy St Pierre dominates Briançon, 2 hours more to get to the Chapel of Our Lady of the Snows (2292m) and even more for 1 hour Summit Prorel (2566m) where the view is magnificent. (See photos). Easier to take the lifts that take you almost to the top. Communication with Marie was great, we had easy access to the apartment on our first day, it was clean, plenty of warm bedding and had everything we needed. There was another family staying below us with a dog but we rarely heard them. Everything in the apartment worked for us, we stayed as 2 adults with 2 children and we were all very happy with it. Its a 4 minute walk to the ski lift and you have 2 supermarkets within a 4 minute walk also. We would recommend this place as an affordable and well located base for exploring the area. Bien placé au calme. un appartement agréable assez grand. Un adresse à garder avec un bon rapport qualité prix. Rue très calme, aucun bruit la nuit, idéal pour se reposer. Confortable : il ne manque rien, le local à ski est très fonctionnel. pas de vis à vis , calme et à proximité de tout sans prendre de voiture . Briancon est très sympa avec des bus pour aller dans les villages alentours . Appartement propre, spacieux, très proche des remontées mécaniques. 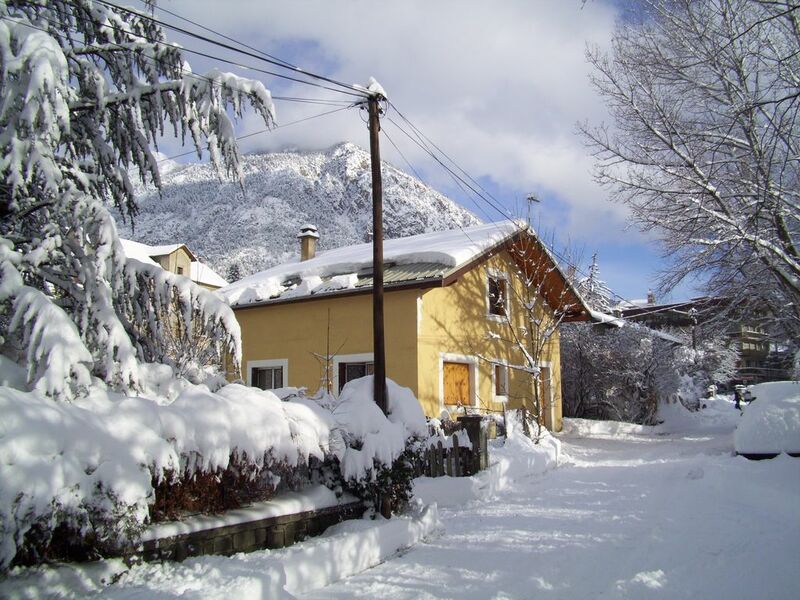 Ski: The rental is located 150 meters from the cable car of Prorel, Briançon ski resort which connects the Serre-Chevalier Vallées ski area. With the ski pass is also possible to take a bus shuttle to the station Monétier les Bains, you will not need to take the car for the duration of your stay.